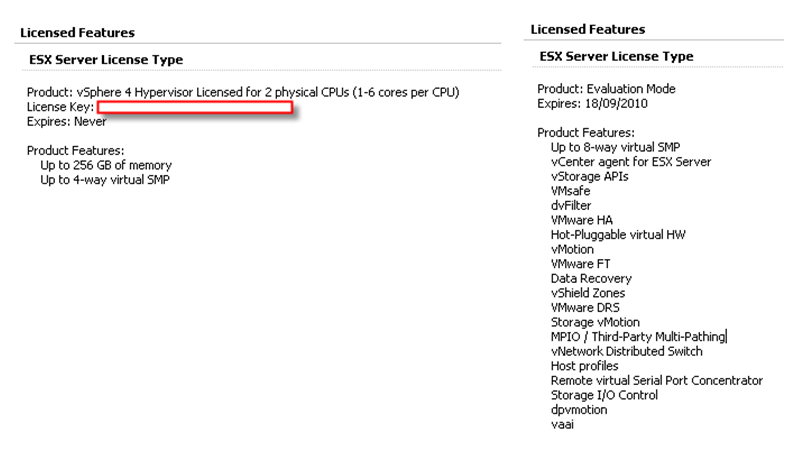 As you all may know ESXi is not long a free product for Vmware. The original free product is renamed to vSphere Hypervisor. So what’s the difference between these two? Well, at this stage, there are no difference between these two products besides license. The installation is the same version of ESXi. The installation file is the same size. No difference during the installation. It means you can demote any ESXi 4.1 to Hypervisor with Hypervisor license. All what you need to do is to use vSphere client connect to that Host and apply Hypervisor license. Let’s see what’s difference after applying license. I guess we all clear here?